The best, most complete four-door performance vehicle in the world. Rain pelts the windshield, blinding me as I putter along at 20 miles per hour on an unfamiliar road in the Hill Country outside Austin, Texas. 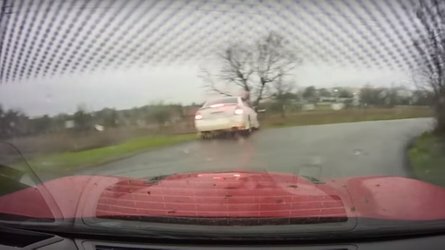 Forrest Gump would call it “the big, ol fat rain,” and the wipers of the Mercedes-AMG GT53 4-Door are struggling to evacuate it from the sleek windscreen. These are not ideal conditions for testing the latest product from the mad scientists at AMG. And yet, here I am. While a boat might be more suitable, the GT 4-Door is hardly a bad place to suffer through this implacable weather. In fact, at the moment, I can't think of a vehicle I'd rather be sitting in. 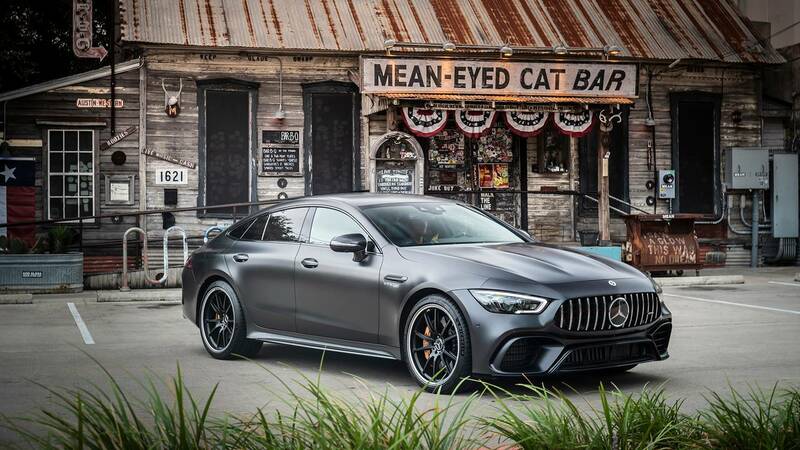 The Mercedes-AMG GT 4-Door is possibly the best performance sedan I've ever driven. But the GT 4-Door is a car that spoils its pilot not only in the way it drives, but how it feels to sit inside. AMG's influence is impossible to miss, but it hasn't come at the expense of Mercedes-Benz's understanding of luxury. You don't sit in the AMG GT 4-Door. 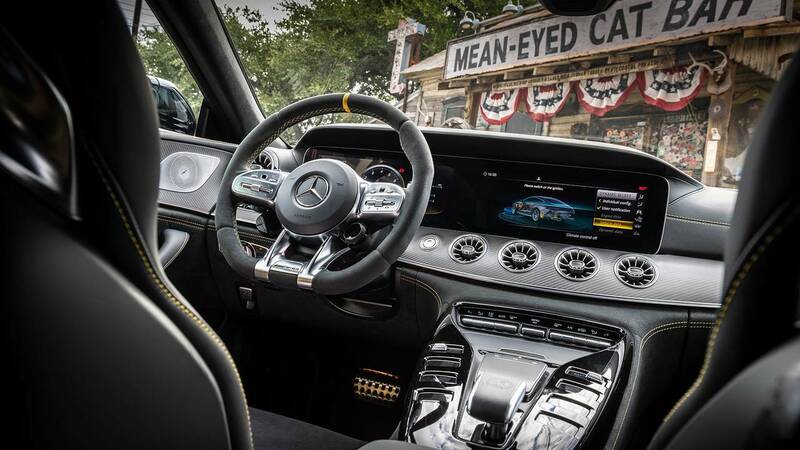 With the high transmission tunnel bisecting the cabin, the almost race-like AMG sport seats grabbing body parts you didn't know you had, and the oversized steering wheel sitting in your lap, the GT 4-Door wraps around you, like the world's fastest cape. The GT 4-Door wraps around you, like the world's fastest cape. Atop that high center console is everything a driver could ever need. 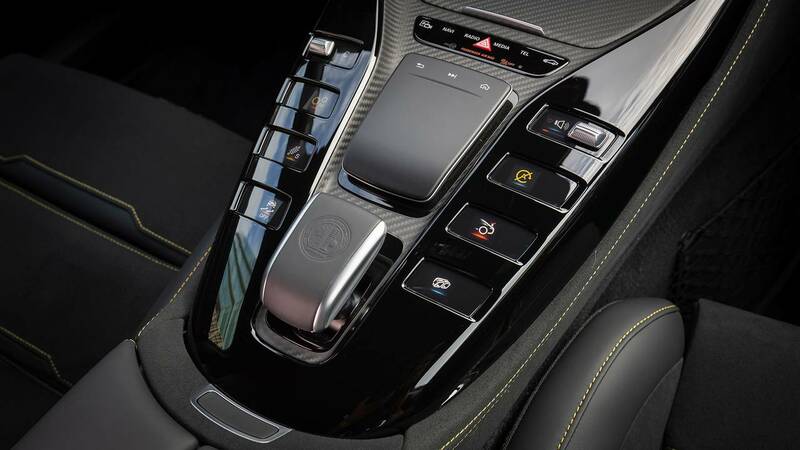 Display buttons have a pleasant haptic-like pulse when you press them, and they replace the traditional buttons for the transmission, stability control, and suspension firmness. Meanwhile, the infotainment system is a hybrid version of the new MBUX setup. It still runs last year's software and is missing the innovative voice assistant, but the primary interface is a slick touchpad that functions like the screen of an iPhone; accepting swipes, pinches, and presses with aplomb. It's all futuristic and forward thinking, but very familiar and easy to acclimate to. The steering wheel is yet another great one from AMG. Soft Alcantara suede, a hash at 12 o'clock, and prominent wheel-mounted paddles are common in an AMG product, but the GT 4-Door features a few new touches. At the 5 and 7 o'clock positions, tiny stalks jut out from beneath the airbag cover – the left side features two TFT displays with individual buttons that control the suspension firmness and rear wing, respectively, while the right side features a TFT display and a dial for quick switches between driving modes. It's like the setup Porsche introduced first on the 918 Spyder (and then the rest of the range), but better. The ability to change so many settings via the wheel is helpful in such inclement conditions. 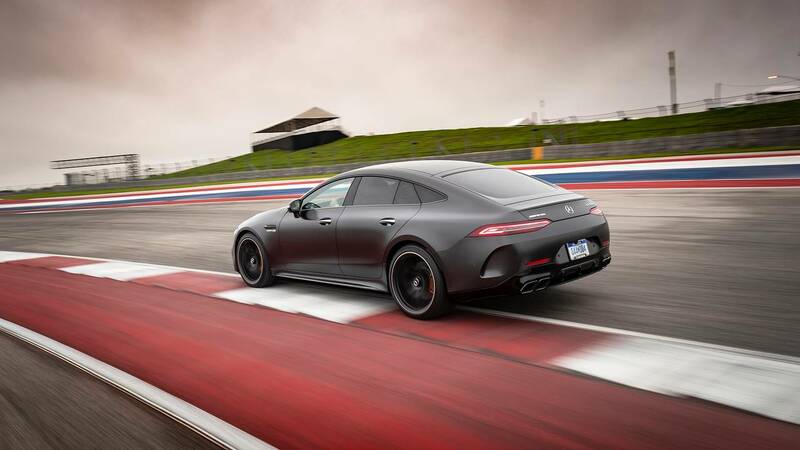 Whether trying not to drown on Texan backroads or, as I spent the second half of the day doing, lapping at the Circuit of the Americas, the GT 4-Door's seats are functionally excellent, offering a wide range of adjustability and support. They include openings in the backrest for a racing harness, but even whipping around COTA, there’s enough support that they never feel necessary. The AMG GT 4-Door has simply some of the best factory seats on the market. As the skies finally begin to clear, I start exploring the GT53 and its innovative powertrain even more. While not the headlining engine for the GT 4-Door range, the mild hybrid setup is easily the more modern and interesting of this car's three-engine lineup. 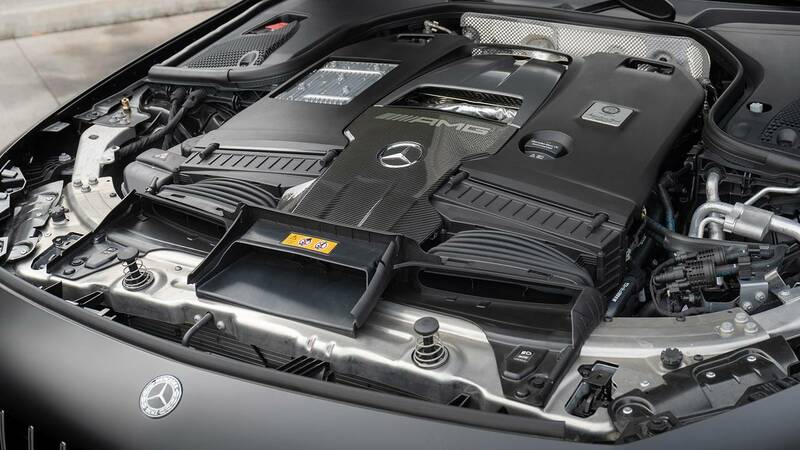 Featuring a new 3.0-liter, turbocharged straight-six (yes, a straight six), the GT53 pairs its gas-fed engine with EQ Boost – Mercedes' new mild hybrid system. Essentially a starter-generator shoehorned between the engine and transmission that can produce up to 21 horsepower, EQ Boost also provides electricity for a 48-volt battery pack that powers the GT's headlights, infotainment and cockpit systems. But don't let the mild hybrid bit fool you – the GT53 is still plenty quick, with 429 horsepower and 384 pound-feet of torque scooting it to 60 miles per hour in a manufacturer-estimated 4.4 seconds and on to a limited top speed of 174. A Prius this is not. And goodness, I’m glad for that, because the GT53 drives and sounds fantastic. The 3.0-liter is sonorous, beautiful, and occasionally haunting as it belts out an inline song not sung by a Mercedes-Benz in two decades. 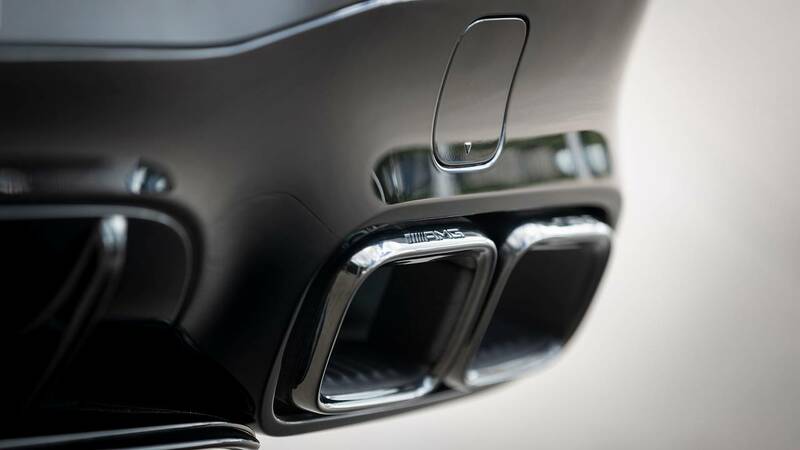 It's difficult to overstate how smooth and evocative Mercedes' new straight-six engine is. The 3.0-liter is sonorous, beautiful, and occasionally haunting as it belts out an inline song not sung by a Mercedes-Benz in two decades. Under hard throttle and in the most aggressive of the GT 4-Door's six driving modes, it pops and barks during high-rpm downshifts. Under more relaxed downshifts, the nine-speed's behavior and the engine’s note conspire to sound like a CVT running through simulated downshifts. It's very odd. Meanwhile, the actual impact of EQ Boost is difficult to spot. The GT53 has plenty of power and is never short of torque, and along with the engine note, it's a delight to wind out. There are no histrionics with the 48-volt system. 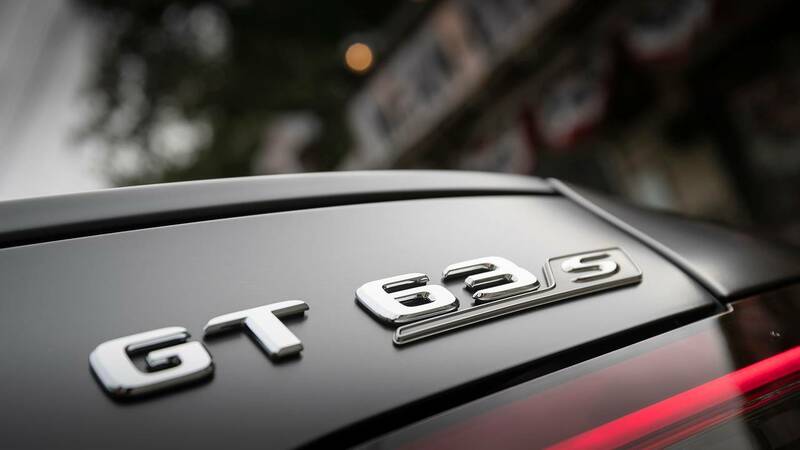 The GT53 doesn't feel like a hybrid; it feels like an AMG that just happens to be a hybrid. But you didn't come here to read about the GT53. It's an impressive car, but the star of this show is and always will be the V8-powered GT63 twins. Yes, twins, because much like the E63, Mercedes will sell a base version of this car as well as an even more maniacal S model. 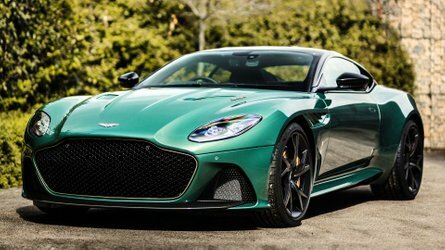 Go with the middle child of the U.S. GT 4-Door range and you'll end up with a very respectable 577 hp, 590 lb-ft of torque, and a zero-to-60 time of 3.3 seconds. You don't want this car, not because it isn't good, but because the GT63S is much tastier. The 63S takes the same 4.0-liter, twin-turbocharged V8, and turns up the wick to the tune of 630 hp and 664 pound-feet of torque. The sprint to 60 falls to just 3.1 seconds. 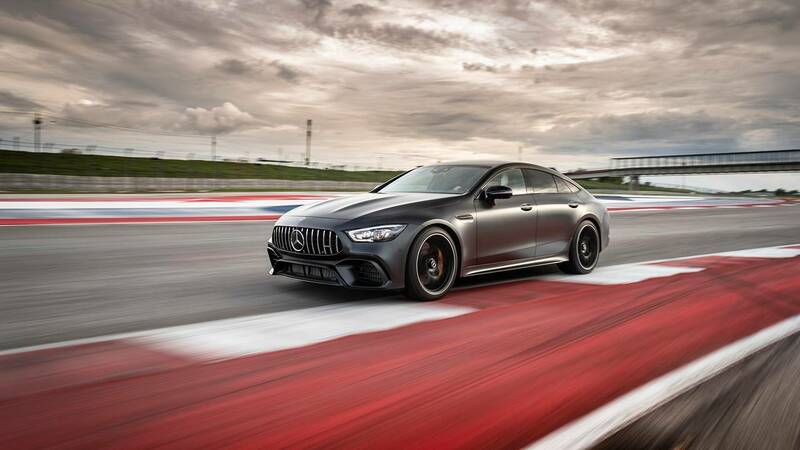 That's faster than a Chevrolet Corvette Z06 (3.2 seconds), a McLaren 570S (3.4 seconds), and most conspicuously, Mercedes' own AMG GT R Coupe, which takes a leisurely 3.5 seconds to do the deed. This car is effortlessly fast, providing supercar-like acceleration from a standstill or at freeway speeds. 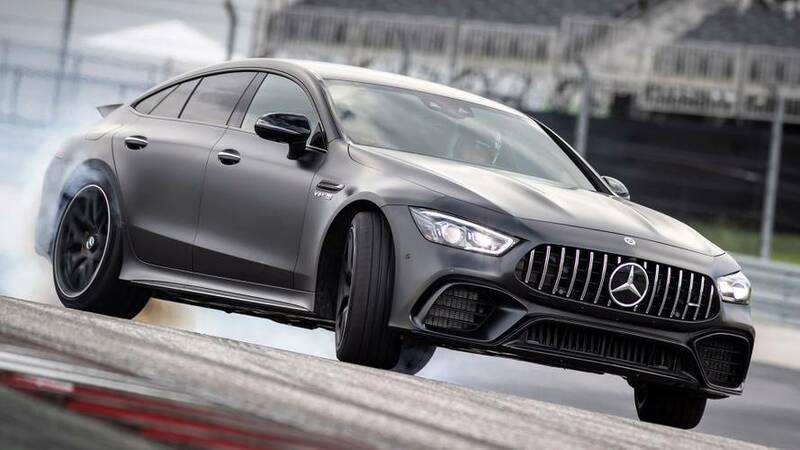 Along the big, back straight at COTA, I hear chatter about other journalists hitting 165 mph – and nudging up against 170 – before digging into the stout carbon-ceramic brakes. I'm preoccupied with the way the Texas scenery is passing by, though, and can't confirm these boasts. 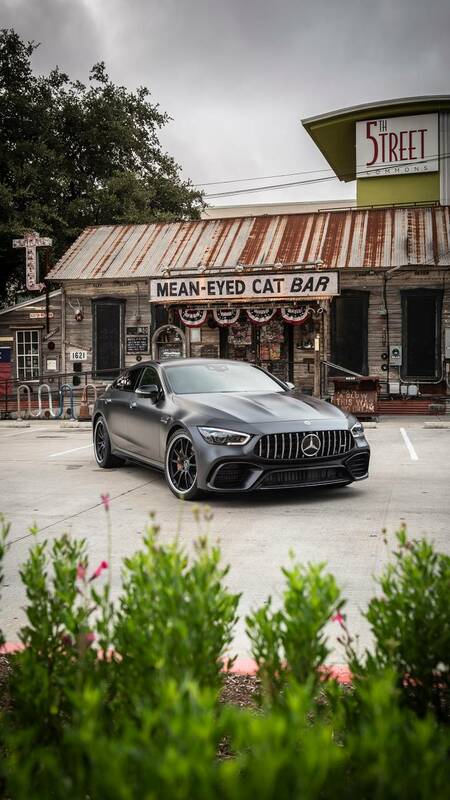 But it's the way the GT63S' speed arrives on public roads – in Texas-sized dollops – that is most addicting. Stitching corners together in the hills (before arriving at the track) feels more like being launched via trebuchet than driving a car, as the revvy V8 and its ample twin-scroll turbochargers – crammed between the cylinder banks – make corner exit to corner entry an exhilarating experience. Stitching corners together in the hills feels more like being launched via trebuchet than driving a car. 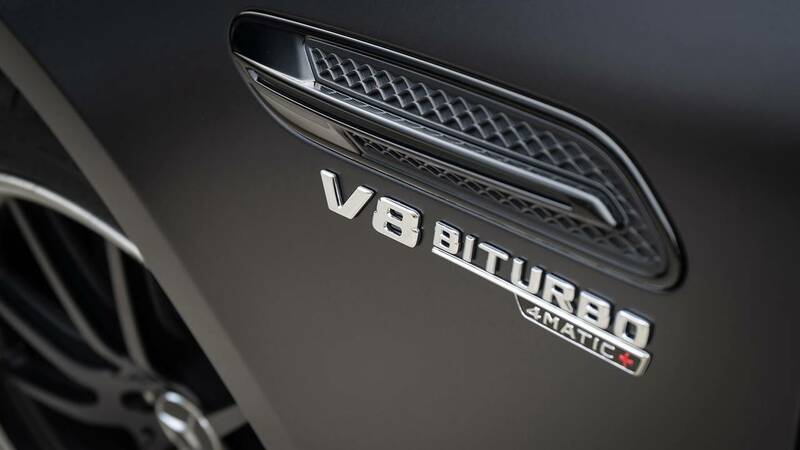 Credit for that particular sensation is at least partially due to Mercedes' 4Matic all-wheel-drive system and nine-speed dual-clutch automatic transmission. The automatic engages with zero hesitation and executes shifts with the kind of brutality the Geneva Convention was meant to prevent. 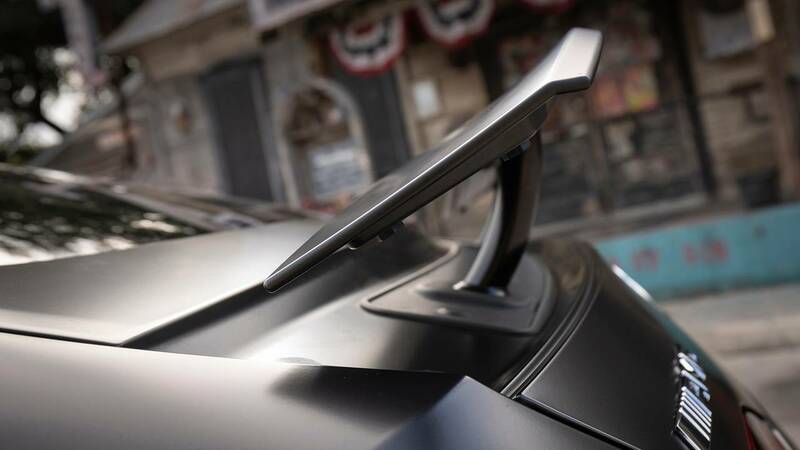 Meanwhile, all-wheel drive amplifies the grip from the 295 millimeter wide rear and 265 mm wide front rubber, meaning the only drama on launch or on corner exit is from the impact of G forces on the human anatomy. 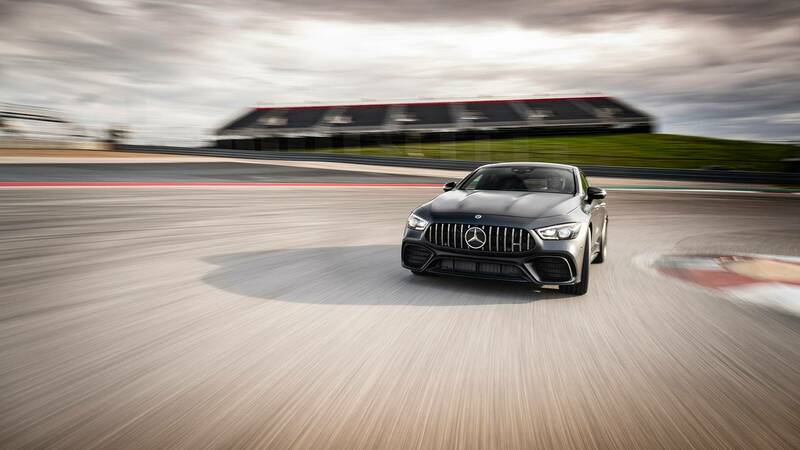 Approaching those turns, be it on the track or on the road, is equally remarkable, owing to the GT63S' active rear-axle-steering system. Available as an option on the GT53 and as standard equipment on the V8 models, it works like most four-wheel-steering rings – the rear wheels turn in the opposite direction of the fronts at low speeds, increasing turn-in speed and tightening the turning circle by effectively shortening the wheelbase. 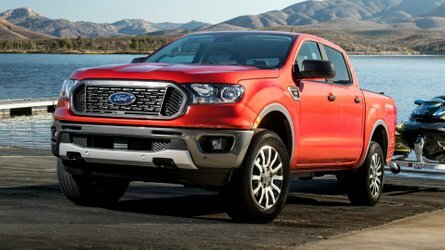 At higher speeds, all four wheels turn in the same direction, having the opposite effect on the wheelbase and in turn improving high-speed stability. That sounds all well and good, but a simple explanation doesn't prepare you for how aggressively the GT63 assaults corners. Turn-in is sharper and faster than any sedan I've ever experienced, period. It's difficult to fathom the poise and capability of this 4,400-plus-pound four-door. Driving the GT63S, it feels like I can simply look at a turn, regardless of speed, rip it to shreds, and then proceed onto the next bend. And it's easy. Simple. Thoughtless. 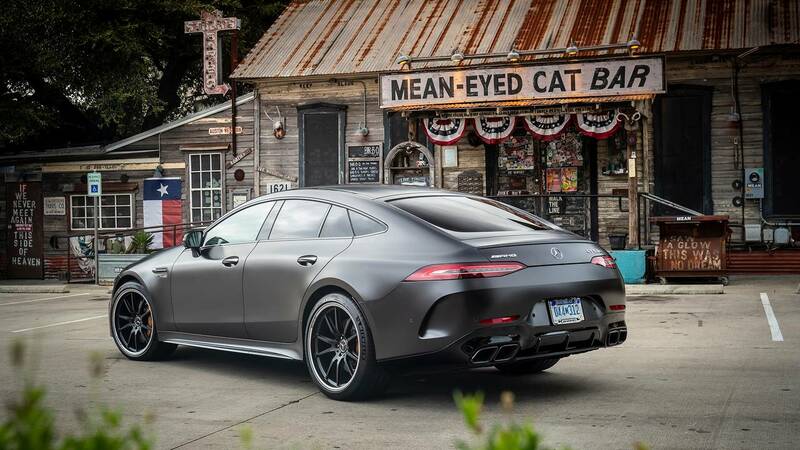 Automotive reviewers and marketers throw around the phrase “handles like it's on rails” a lot, but that's an apt description of what the GT63 does. On the track, I can't come close to exploiting this car's full potential. Every outing, I push harder and harder into corners, carry more speed, brake later, and get on the throttle earlier. And the GT 4-Door eats it up. Even as the rain descends again, making the already green track even slicker, the GT63 feels unflappable. But it can and will get frisky if you ask it to. 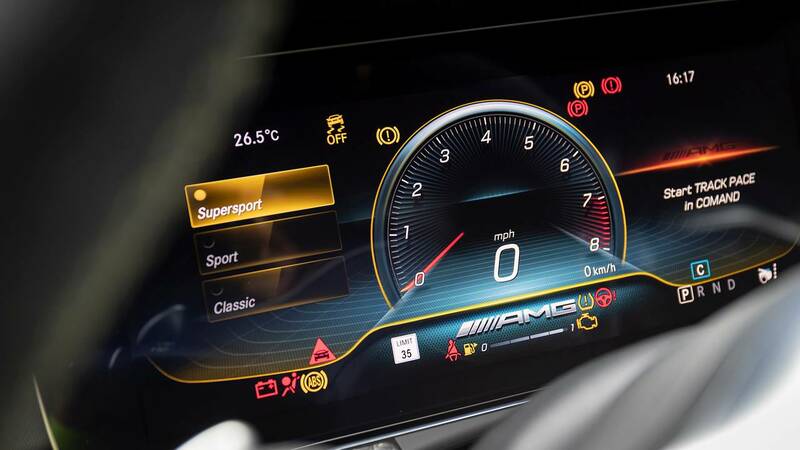 Mercedes installed six driving modes – Comfort, Sport, Sport +, Individual, Race, and Slippery – and added a new AMG Dynamics system to govern the input of everything from the stability control to the all-wheel drive to the rear-axle steering and rear limited-slip differential. 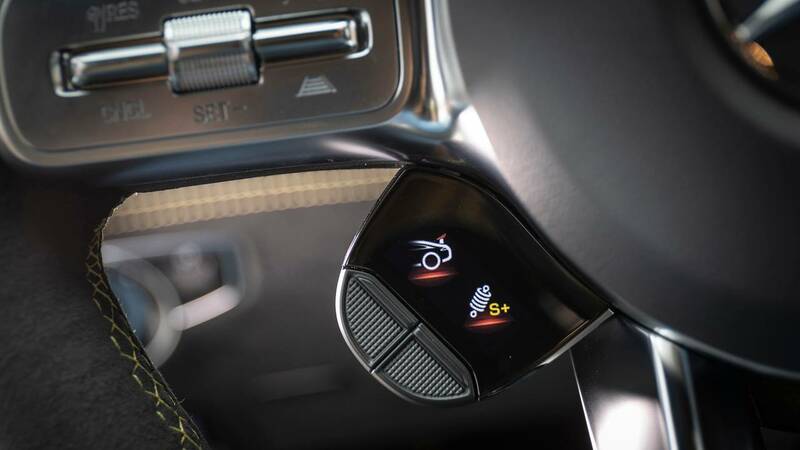 There are four settings here – Basic, Advanced, Pro, and Master – granting drivers the ability to fine-tune their driving experience without doing something as rash as switching off the stability control system entirely. In nearly the most aggressive setup (Race mode with the dynamics set to Master, but the stability control fully on), I can push the GT63 around the increasingly damp circuit without concern. There's enough slip to feel heroic, but the safety net is still firmly in place. Driving the AMG GT63 in these conditions is like wrestling with a wookie, but being able to choose if, when, and how severely it rips your arms out of their sockets. Driving the AMG GT63 in these conditions is like wrestling with a wookie, but being able to choose if, when, and how severely it rips your arms out of their sockets. The trickiest thing to figure out about the AMG GT 4-Door is where it fits into the market. AMG's first sedan is not a small vehicle, yet it feels more aggressive and less spacious than a Porsche Panamera (its closest rival), let alone the hulking BMW M5. It's a safe bet that the AMG can run rings around both. At the same time, this GT's refinement and comfort exceed the two-door vehicle it shares its name with – you can easily drive the 4-Door every day, but I wouldn't recommend doing the same with the AMG GT R.
Figuring out its place in the world is all the trickier thanks to the unknown pricing. 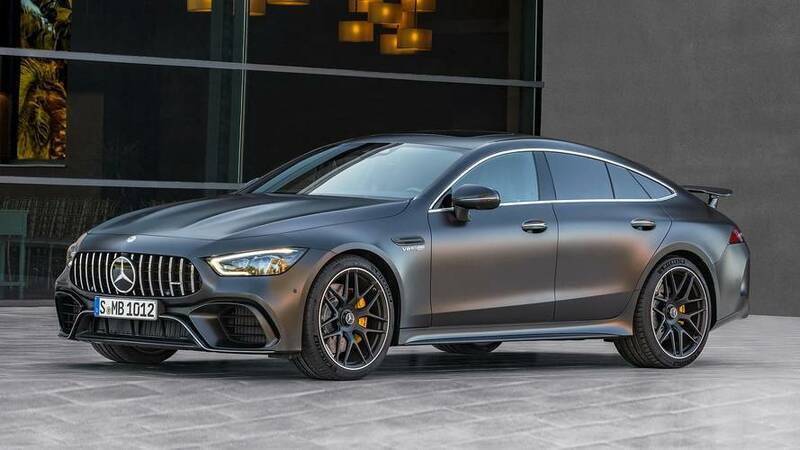 Mercedes wouldn't let much slip, besides saying the GT53 would start north of the as-yet-unpriced CLS-Class (probably around $78,000), but less than the $90,000 S-Class sedan. As for the V8? Well, that's anyone's guess. In Germany, the GT63 starts at around 150,000 Euros ($176,000 at today's rates), which would be much higher than the $150,000 Porsche Panamera Turbo. The GT63S, meanwhile, rings up at 167,000 Euros ($196,000), or nearly $12,000 more than a Porsche Panamera Turbo S E-Hybrid. 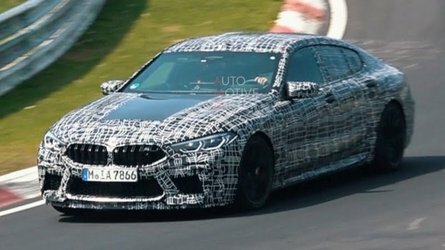 If I had to wager, I'd expect the GT63 will start between $150,000 and $160,000, while the GT63S will sit somewhere in the low $180,000 range. That said, those are nothing more than educated guesses. But if I had that kind of coin burning a hole in my pocket, I'm confident the GT 4-Door would be on my short list. It's a stunningly executed high-performance sedan that also happens to be perfectly usable every day. The smart money is on the GT53: the less frenetic, more affordable, plusher car for daily driving. But I dare you to resist the lure of the V8. Whichever AMG you choose, rest easy knowing you've got the new king of performance sedans sitting in your driveway.